Simple and extensive diagnostics with safety device diagnostics to reduce service deployments. Safety device diagnostics allows you to retrieve extended diagnostic data from Pilz safety devices. In the new PSENcode sensors the conventional signal contacts are activated automatically by the fieldbus module and empowered for safety device diagnostics. The diagnostic data enables you to reduce service deployments and deliver greater machine availability as well. Thank to their expandability, safety device diagnostics support a mechatronic approach. This consists of a fieldbus module plus junction box and the corresponding safety devices (e.g. PSENcode slimline design). The integrated display on the fieldbus module ensures the direct receipt of comprehensive diagnostic data. 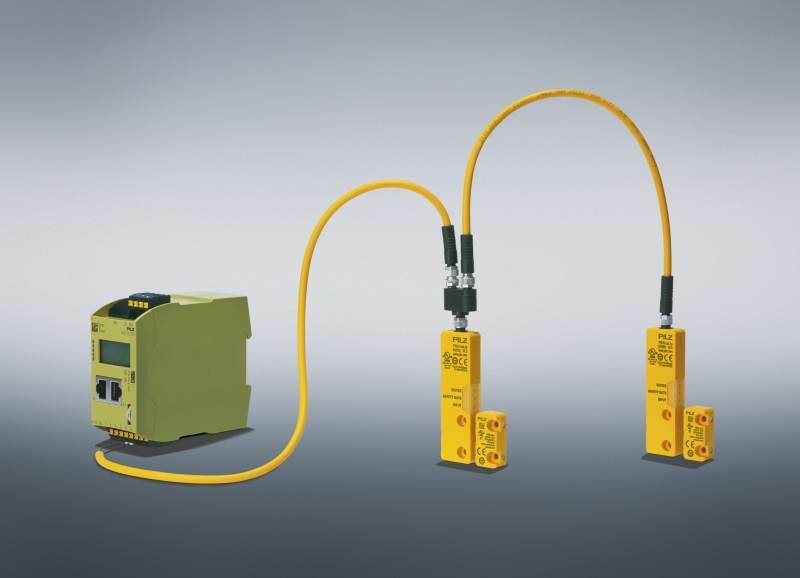 Safety device diagnostics also enable quick and easy installation due to series connection in the field. When combined with PNOZ X or PNOZsigma, you have a complete, economical, one-stop solution. Visit us at the Hannover Messe 2016! Would you like to know more about our innovations? Then visit us at this years Hannover Messe from 25 to 29 april 2016! We are looking forward to your visit at our exhibition booth no. 17 in hall 9.